Iran, despite its belligerent behavior and support for terrorism, is not a formidable conventional military force. The Islamic Republic has a handful of weapon systems that make it asymmetrically dangerous, but its military is largely outdated thanks to years of international sanctions and arms embargos. Under the Joint Comprehensive Plan of Action (JCPOA) and the subsequent United Nations resolution endorsing the deal, however, Tehran will soon have access to foreign arms that could substantially upgrade its forces and challenge international efforts to curb its destabilizing activities. Following the 1979 Iranian Revolution, the U.S. and many of its European allies imposed restrictions on arms exports to Iran. While they were not all air-tight (see the Iran-Contra Affair), they did have a profound impact on Iran’s arsenal when it was embroiled in a devastating eight-year war with Iraq. Tehran was forced to turn to new sources – such as China, Libya, Syria, North Korea and private smuggling networks – to acquire weapons and parts for their existing systems. Iran’s new regime was also forced to rely on indigenous production, which often meant copying foreign-made equipment and replacement parts. 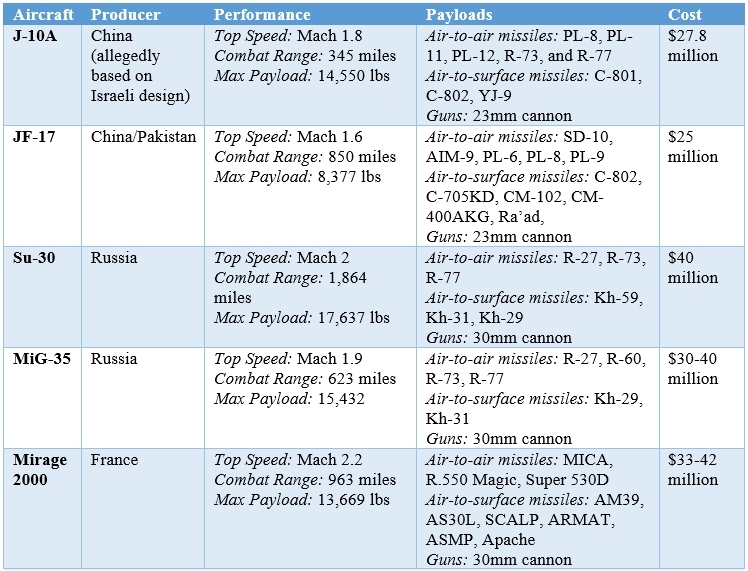 During the 1990s and early 2000s, Russia and China delivered some modern systems to Iran, including MiG-29 fighters, Su-24 bombers, Kilo-class diesel submarines, Tor-M1 surface-to-air missiles systems, C-802 anti-ship missiles, and QW-1 MANPADS. Iran also acquired dozens of French- and Soviet-made Iraqi aircraft that fled to the country during the 1991 Persian Gulf War. Tehran impounded the aircraft, only returning a handful of Su-25s in 2014 to bolster Iraq in its fight against the Islamic State. But Iran was unable to import enough equipment to rebuild its forces following years of war and Western embargos. 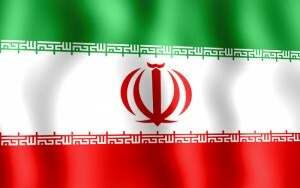 Iran’s military suffered further blows as international pressure to curb Iran’s nuclear program enacted comprehensive embargos on arms supplies. In 2007, the United Nations Security Council (UNSC) approved Resolution 1747, forbidding Iran from exporting arms and calling on member states to exercise “vigilance and restraint” in supplying the country with conventional arms. Then in 2010, the UNSC approved Resolution 1929, which required all member states to “prevent” sales to Iran – effectively placing an international arms embargo against it. Tehran’s principal military suppliers, Russia and China, ceased arms deliveries to the Islamic Republic. Russia halted the delivery of the S-300 air defense system purchased by Iran in 2007, though not as the result of UN restrictions. Moscow could have still provided the S-300 under Resolution 1929 because restrictions are based on the UN Register of Conventional Arms, which permits the transfer of surface-to-air missiles (SAMs) with the exception of the shoulder-launched variety (MANPADS). Russia ended its self-imposed ban on transferring the S-300 in April and is expected to begin delivering components before the end of this year. With the addition of this advanced mobile SAM system, Iran will improve the layered air defense of key sites, thus better protecting its nuclear and military facilities from potential U.S. and Israeli strikes. The JCPOA and UNSC Resolution 2231 terminated Resolutions 1747 and 1929 and made the abolition of the conventional arms and ballistic missile embargos rewards for Iran’s implementation of its nuclear obligations. During the final days of the nuclear negotiations, Russia and China are reported to have been the primary advocates for removing the arms embargos. For years, Moscow and Beijing missed out on the lucrative arms race in the Middle East as American and European defense firms made billions on sales to the Arab Gulf states. Now, they are expected to be among the prime beneficiaries of Iran’s re-entry into the legitimate arms market. Because of the substantial lead Iran’s Sunni adversaries hold in military spending and capabilities, it will be some time until the Iranian military is considered a peer competitor. Still, with investments in certain Russian and Chinese platforms and weapons systems, Iran could significantly increase its offensive lethality in the airspace and waters of the Persian Gulf to threaten its Arab neighbors and U.S. interests. Meanwhile, it can forego purchases of land systems such as tanks and armored vehicles, as a major ground war with its rivals appears unlikely. Reports already indicate that Tehran may be shopping for new equipment that could offset, or at least reduce, its adversaries’ qualitative edge. Iran, for example, has allegedly already begun negotiations to acquire between 24 and 150 Chengdu J-10 multirole fighters from China in exchange for turning over its largest oil field to Beijing for two decades. Although news of the prospective sale of J-10s remains unconfirmed by China, Iran’s desire to acquire modern combat aircraft to update its aging air force is well documented. Prior to the 1979 revolution, the scores of first-rate American fighters sold to the shah gave Iran one of the strongest air forces in the Middle East. Today, many of those aircraft that survived the Iran-Iraq War still remain in the IRIAF’s inventory and are likely unusable or have been cannibalized to keep other aircraft in service. Iran’s limited number of bombing missions on Islamic State targets in Iraq may be an indication of just how degraded the IRIAF has become. Currently, the Islamic Republic of Iran Air Force (IRIAF) and Islamic Revolutionary Guard Corps air wing is made up of F-14A Tomcats, F-4E Phantom IIs, F-5E Tiger IIs, Chengdu F-7 (a Chinese copy of the iconic Soviet MiG-21), MiG-29 Fulcrums, Su-24 Fencers, Su-25 Frogfoots, and Mirage F-1s – nearly all manufactured before 1990. Iran also produced a handful of its own fighters, such as the Azarakhsh and the Saegheh. However, these aircraft appear to be only slightly modified copies of the American-designed F-5 Tiger – a light fighter outclassed by modern competitors. Modern multirole fighter aircraft tend to only be as effective as the weapons and sensors they carry, so buying the jets themselves would not be enough. Iran would also have to shop for sophisticated munitions for air-to-air, anti-ship, and long-range standoff strikes. In fact, with certain air-to-surface missiles, the ban on its ballistic missile development becomes almost meaningless as Iran would be able to launch long-range precision-guided strikes that are likely more accurate and harder to intercept than any ballistic missile they are able to develop. While there are existing international agreements to limit the transfer of the more dangerous missiles, some systems could be altered to expand their range and payload. With new weapons and an unrestricted supply of parts and technical assistance, Iran will be able to close the gap with it foes and far more easily exert its will in the Persian Gulf. Facing the U.S. and the Gulf states in a prolonged conflict, Iran’s military would still be at a significant disadvantage. Armed with a handful of advanced systems, however, Tehran could make a brief conflict with the U.S. or its neighbors costly, granting it the ability to double down on its rogue behavior while better deterring adversaries from stopping it.